An enchanting tale of Katie and her magical friendship with Blizzard, one of Santa's newest reindeer. Blizzard uses her special powers to help Katie realize her own inner, strength and potential. 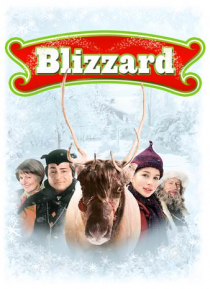 By doing so Blizzard risks being banished from Santa's village -- only the most powerful gift of call can save them.